Cultures around the world provide examples of living and sustainable diets, if we go back 200 or more years ago. Those diets vary widely, but they all have a few things in common. They all used locally available fruits, in season, and some dried or cool stored. They all used locally available vegetables, both in season, and stored either in a cool location or dried. Some vegetables were also pickled for storage in a cool location. They consumed grains, and they had some form of bread, with very few exceptions. They all had some form of meat protein, either from livestock, or hunted wild. This may have been largely fish, or birds, but meat was invariably present, and only supplemented with insect protein in unusual circumstances. They had, with very few exceptions, animals which were milked. Cows, goats, sheep, yaks, reindeer, horses, camels, and many other large animals have been herded and used for both milk and meat for many millenia. Cultures may have depended primarily on domesticated animals and cultivated crops, or they may have depended heavily, or even entirely, on wild harvested or hunted food sources, but those elements were present more than they were not present. Generally, one group may have been reduced, but was almost never completely eliminated from the diet. Where one was missing the others were balanced to compensate. There have been NO societies in the history of the world that were gluten free, or vegan, and VERY FEW that have been without milk animals for dairy (yes, even for adults). There was a time when I thought I would join the Weston A. Price Foundation, as soon as I was able to afford to do so. 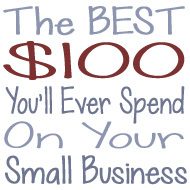 There was a time when I thought it would be a benefit to my business to do so. There was a time when I thought that the majority of the information coming out of WAPF was credible, and worth supporting. That time has passed, and increasing familiarity with the organization has taught me that my original conclusions were based on a hope which has no foundation in that organization. The following is an overview of the opinions and conclusions I have drawn in the last three years of circling around the edges of this group, and overhearing the conversations they are having with each other, and reading the things they are publishing, and conducting my own studies regarding the validity of what they claim. The work of Weston A. Price is valid. His studies of the diets of indigenous peoples is remarkable, and still very relevant today. His work is not in question. He was a man of integrity and common sense. I am not disparaging his work in any way. What I am taking issue with, is the use of his name by a foundation which claims to support his principles, while giving every appearance (to me, and many others) of carrying out actions that clearly contradict his published works. This is not one thing. It is not a single controversy. It is not a judgment made lightly. This is a long train of occurrences that have played out one after another, and a long history of actions on the part of various people involved in the WAPF organization, which are not consistent with the principles of integrity by which I govern my life, and which appear to have been the cause of significant harm to a number of individuals. The first issue I have is that much of the information published by, and supported by WAPF does not espouse Dr. Price's philosophies - this can be verified by studying his works, and comparing it to what they support on their website. They quote some of his research in their initial published articles on the WAPF website, but from there, they diverge greatly. They have supported the consumption of a product called "Fermented" Cod Liver Oil, which, by all scientific evidence and understanding, is rancid. This is not a product that is in any way historic or traditional in the use that they have assigned it (rancid Cod Liver Oil was used historically only externally on the body, and as a machine oil), and in fact, Dr. Price\'s works do NOT recommend daily consumption of CLO as a routine supplement, but only as a treatment for some illnesses and malnutrition (He also stated strongly that children should not be forced to take it.). They have recommended the use of alcoholic beverages for children (there is sufficient unbiased and conclusive evidence online to verify that home fermented sodas, water kefir, beet kvass, fermented juices, and kombucha are over the legal limit for classification as alcoholic beverages and therefore potentially intoxicating) - a thing that is completely inconsistent with common sense, current law, the advice of all current health professionals, and is in no way based on ANYTHING ever said by Dr. Price. They have supported various new dietary theories which were stated in the studies as being only theoretical, only able to be replicated in a test tube and not within the human body, and which are directly contrary to the evidence of traditional diets as presented by Dr. Price. The policies which they enforce appear to punish free thinkers and those who speak their conscience. There have been numerous instances where an individual was singled out and shamed publicly by the leadership of WAPF, and criticized and humiliated. There have been multiple controversies where anyone not supporting the official position of WAPF was condemned by the leadership, and publicly shamed. Disagreements with some members of the leadership have resulted in the modern equivalent of shunning. This has been public enough that you can find real evidence to back those assertions, and it has been reported by sufficient individuals who were on the receiving end of it, or who witnessed the receipt of it, that the pattern is well established, and verifiable based on published actions of specific leaders in the organization. THE leaders published the evidence themselves. This is not only a problem of leadership in the organization, it is a problem with EVERY SINGLE Chapter leader and member who gets behind it and continues to support an organization that would do this to the legs they stand on! And the supporters of this unethical behavior are MANY - The only people willing to speak out about the FCLO controversy with anything CLOSE to the truth, were those who were already ostracized by WAPF. They give the impression that they sell out for profit. The rules of the organization (in contractual form) are that if you are in a position of leadership, you are not allowed to say anything negative about any sponsor of the organization. Now... this is highly problematic. It means that any business committing fraud need only pay the organization, and they will be backed 100%. Once the money is paid, silence regarding problems of the item is guaranteed. If a leader objects to unethical conduct on the part of a sponsor, the sponsor is apparently never challenged by the organization - their rules FORBID IT! Instead, the leader is reputedly warned to desist or be removed. This pattern is also well established (and ample evidence exists of the enforcement of the rules). The leadership of the organization claims that they do not "profit" from any sponsor, but in fact, the sponsorships are their means of making money, either directly or indirectly. Without sponsorships, the organization would cease to exist. And sponsors are difficult to find, who will pony up $20k just for a booth at a convention. Published responses to complaints regarding product quality of sponsors have been met with rebuttals that are so thin, and so filled with evasion and verbal slight of hand, that the overall impression to me is that the issues and concerns are known to be valid, but are of no concern to the leadership of WAPF. The selling out for profit appears to filter down to chapter leaders. Group orders of sponsored products are fairly lucrative. Many bloggers and others have hitched their wagon to the organization, and do not know how to survive in business without the unquestioning floods of members who will buy anything that is recommended as a helpful product by the WAPF or the circle of supporters who will repeat whatever new thing the organization has decided to get behind. This means that when a controversy erupts, and there is financial motive to continue to support WAPF positions, or WAPF sponsors, a few intrepid voices will say, "Oh, golly! I don't know WHAT to think! Could this be TRUE??? ", and shortly thereafter, will publish an almost verbatim quote of the official WAPF response, whether it makes sense or not, and that is the last that will be said on the matter. YES I question the integrity of EVERY SINGLE VOICE that has cried out in dismay and then recanted a week later, because they KNOW that the thing they are supporting is not what they are claiming it to be! I question the integrity of EVERY SINGLE NETWORK that has been formed on the coattails of WAPF and which has sought to perpetuate the "nothing negative about our sponsors" rule! It is a deadly poison that corrupts an organization through and through, because it protects producers REGARDLESS of the quality of their product or information. Again, in the recent FCLO controversy, the only people willing to speak out with anything other than the official party line, were people who had NOTHING TO LOSE by doing so! Anyone who still stood to GAIN from supporting deception simply repeated the official response from WAPF, with no further mention of the very real issues. This means that any information on supplements presented by WAPF is suspect, because good whole foods are always a better source of absorbable nutrients than ANY ANY ANY extracted supplement!!! In fact, this is the position they have always REPUTEDLY taken - that food is better than supplements. But there is less money in recommending healthy food than there is in recommending a supplement, so their actions no longer match their words in this regard. Personally, I would not trust any information coming from them in regard to any dietary supplement. 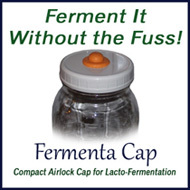 Much of WAPF's information is skewed towards selling product (by virtue of their no criticism policy) rather than toward common sense, so where does that leave their recommendations for consuming lactofermented foods? This is an area where they have quoted half-science in support of lacto-fermented foods as a cure-all. They are not that. They can help in some instances. And they are a better food preservation method than canning for shorter term food preservation. But it isn't magical. It is just another form of healthy food. What about grass fed beef, butter, pastured chicken, etc? Recent debacles have called into question the nutrient testing methods used by the lab quoted by WAPF for nutrient levels of these things. But common sense, and testing from other sources, verifies that these foods ARE healthier, and slightly higher in some nutrients. Common sense also tells us that food that is NOT extracted, refined, robbed, and reassembled into a facsimile of food, is healthier than food that has been processed to death. Common sense tells us that foods that have been relied upon for thousands of years are a better choice than foods that are refined replacements of those foods (can anyone say \"almond milk\"?). Common sense also tells us that there are NO miracle superfoods, but simply foods that, when included in a varied diet, can help us maintain optimal health. And this is my biggest gripe with WAPF. Dr. Price was a man of eminent common sense. And it is my opinion that WAPF has abandoned common sense, in favor of hawking shady supplements (directly, or indirectly), and in favor of sensationalizing marginal study results which do not relate to actual functions within the human body. NOTICE: This is an opinion piece. Many names have been left out because they are well known. Others have been left out in order to protect other individuals from petty reprisal. Some searching of the WAPF website, and Googling relevant topics, will back up any claims or suggestions of actual events made in this commentary. Where is Weston A. Price's Traditional Fermented Cod Liver Oil? Trick Question! With a very simple answer, and a potentially complicated explanation! There is no such thing as "traditional fermented cod liver oil". Weston A. Price never mentioned such a thing. Weston A. Price DID mention supplementation for malnutrition, of "good quality" cod liver oil. He did not ever recommend the daily supplementation of cod liver oil to everyone regardless of health or need. Weston A. Price defined "good quality" cod liver oil as that which was light colored and not rancid. Weston A. Price condemned the practice of forcing children to take cod liver oil against their will. Cod Liver oil cannot be "fermented", as it has insufficient fermentable ingredients in the livers, and none in the oil. Fermentation requires carbohydrates. Aged Cod Liver oil, no matter HOW it is aged, will turn rancid. There is no known method of preserving Cod Liver oil during the extraction process if the process is a lengthy one. Any extraction process which takes more than a few weeks, will result in rancidity in the final product. Animal based oils must be extracted by either heat, or solvents, or by a process of putrifaction (rotting them, creating an all but inedible end oil product). "Fermentation" is not an extraction method. Examples given of island people hanging shark livers, inside shark stomachs, for months in the sun, to extract the oil, are not a "traditional example" of anything other than the extraction of MACHINE OIL (not for human consumption), by putrifaction and heat (black stomachs, hanging in hot sun). This process results in rancid oil. 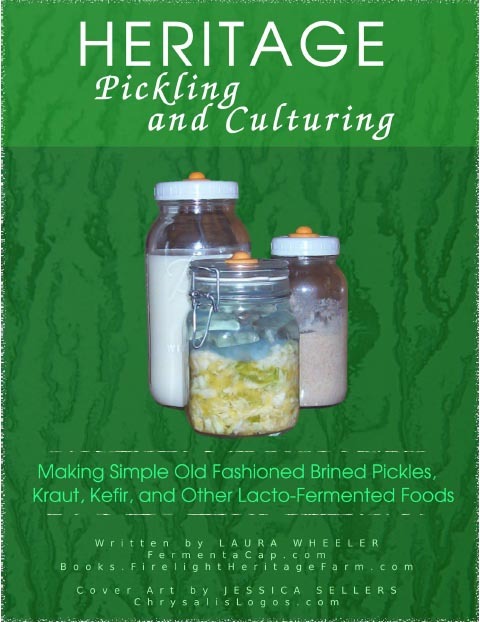 Meat products are often cured, or brined, but this process has NEVER previously in history been referred to as "fermentation" (until the last 10 years when people like some at WAPF chose to redefine fermentation to fit their own agenda), and it does not involve lactic acid bacteria, or any of the other elements common to the actual modern definition of fermentation. These are not examples of oil fermentation, nor of meat fermentation for the purpose of oil extraction. Cod Liver Oil turns rancid very quickly. It can be preserved a little longer through refrigeration, but it will turn rancid if it is more than a few months old. Cod Liver Oil claiming to be "Fermented" IS, therefore, rancid, since it is known to be many months old before it even gets to the customer, and the manufacturer claims that it does not need refrigeration and has a lengthy shelf-life. Claiming an oil is "fermented" instead of rancid, does not change the rancidity timeline, nor does it make the rancid oil somehow healthy. GOOD Cod Liver Oil is light colored, has an oily fishy smell that is not overpowering, and requires refrigeration. It should be discarded if the smell becomes offensive, or if it smells rancid (stale, sharp, strong, pungent, etc). Anyone who thinks that the advice and findings of Weston A Price have any validity at all, will run from any Cod Liver Oil claiming to be "fermented", and they will NOT force a child (or themselves) to take a product that is offensive. Many other WAPF bloggers initially questioned the FCLO controversy (the blog posts all have a sort of "Oh, golly, I don't know WHAT to think!!" hand-wringing attitude to them), and then quoted WAPFs misleading and vague response to the issues, or quoted the completely useless replies of the company that makes FCLO (written like a true politician, to make you THINK the question has been answered when it really has not, or just repeating information that has already been proven to be a lie, in the hopes you'll believe it this time). In the interest of NOT confusing you, and because I never promote someone who has blatantly incorrect info if I can help it, I have not listed them in the list above. You can find them easily enough on your own if you still want to be deceived. The premise of the Paleo diet is that man in the hunter gatherer phase ate principally foraged vegetables and meats, and very little fruit. Primal diets also have approximately the same basis, and both diets recommend avoiding grains and dairy. Paleo theory is flawed, assuming that our bodies have not had time to genetically adapt to the use of grains and dairy in our diets. Those who have made this assumption are ignorant of the process of adaptation, which occurs within several generations of time when a dramatic change occurs (the change must be dramatic enough to affect life expectancy and fertility, but not so dramatic that it exterminates life). Considering the affects of the modern diet on life expectancy and on fertility (it is impacting both negatively, but only within the last 20-40 years), it would take only a few centuries for humanity to adapt to such a change - though some kinds of changes are not ones that people SHOULD adapt to (specifically, the addition of poisonous chemicals to our food supplies). Those who can withstand changed conditions will reproduce more and live longer, those who cannot withstand the conditions will fail to reproduce, or will reproduce less, and will die earlier. Domesticated animals, which have been left to their own devices, and which have turned feral, have established a distinct breed simply through natural selection, and adapted to live within very specific environs, with foods that were not common to their ancestors, within a period of 100 years or less (there are many contemporary examples, with hogs, goats, cattle, etc). People are capable of the same kind of adaptation, and they do the same thing, simply because sickly people do not reproduce as well as healthy ones, and eventually the healthy genes dominate, and the sickly ones diminish within the genetic pool. The generational cycles of animals are shorter than those of people - meaning that they reproduce through a shorter period of time and cycle through genetic changes more rapidly, with a lifespan of about 10-20 years, as opposed to 50-100 years, but even accounting for that, humanity would adapt to new foods within a few hundred years. One cannot claim that humanity has existed for millions of years and then claim that it is not capable of adaptation. The Inuit are often quoted as a fairly contemporary example of a model of high fat, low carbohydrate eating upon which a culture has thrived, but in fact new research shows that specific genetic modifications have occurred within that population (and date fairly recently according to Paleolithic timelines), putting the lie to the idea that the human body cannot adapt to major changes in diet, and also demonstrating that not all people CAN in fact survive well on a diet so high in the foods available to the Inuit, without cultural genetic adaptation. Most people cannot digest or metabolize such high amounts of blubber or Omega oils. There is a general dismissal of carbohydrates as a class in the Paleo Diet promoters' application and recounting of the Inuit diet also, and yet Inuit elders speak of berries, roots, and wild plants, including plants that grow on the tundra, and from the ocean, that were harvested during the short summer months, processed, and stored for use (primarily dried or frozen). Low in carbohydrates? Yes. But they comprised a higher percentage of the diet than is generally acknowledged. High in seal and whale fat? Yes. But that required specific genetics to enable them to thrive on it, which would have occurred through natural selection, just as our ability to digest wheat and grains would have occurred. Grotta Paglicci in Puglia, Italy has produced some archeological finds which show stone tools with fragments of oat flour on them, and have been dated to about 32,000 years ago (if you believe the carbon dating is reliable), which is right in the midst of the paleolithic era, and directly contradicts the theory behind the Paleo diet that grains were not used during that era. Further, since there was an actual tool (shaped of stone), rather than just a few oddball stones, we can assume they had been doing this for a significant amount of time before this! The presence of oat flour on the stone does not mean that oats were the only grain consumed or ground, but it simply means that this was the last grain ground on the stone, or all that was left after so much time. Ancient wheat has been discovered and dated to around 7500 BC, and since the human body can adapt by natural selection in only a few hundred years, and in fact HAS to do so in order to survive relocations, there is no question that if wheat survived as a staple in the human diet, that it was a food that was easy to sustain life with. I mean, as a group, a food does not spread from culture to culture century after century if it is harmful and blights human life, it spreads because it makes life easier and helps humans become more self-sufficient. To believe otherwise, is actually sort of preposterous, since populations grew MORE rapidly after that point, rather than more slowly, evidence that wheat did not hinder the health of populations in which it has been found to be a dietary staple! You see, the Paleo diet is just an assumption, and not even a logical one. There is no documentation as to the day to day life of people within the earliest human history (even if you adhere to the Biblical accounts, there are many gaps). There is ample documentation the world over, of thriving populations where grain based breads are the foundation upon which nutrition is built, and bread is the staple food there, and of a long history of such use. There is more evidence to put the lie to the Paleo diet theory than to support it. There are plenty of people who try it and it works for them (at least in the short term) - supporting the theory that individual genetic adaptations from cultural history make it possible for some to thrive on that kind of limited diet - and plenty of other people try it who do NOT thrive on it. There is a great body of people who recount disasters with it, which the Paleo world cries is simply people who "did it wrong", but the voices of dissent on it are loud and distressed, and bear listening to as much as the enthusiastic cult-like cries of those who support the Paleo diet. There is also a great deal of diet cheating within the Paleo world, which is largely ignored as having any survival impact - it is a diet that is impossible to fully follow in day to day life, simply because the foods required are not always available, and people are forced to accept foods with higher fruit, sugar, milk, grain, or processed food content than the diet calls for. This reality skews statistical results and success claims. Populations really began to expand in the middle ages and shortly after, because life expectancies began to lengthen, and it was NOT due to medical advances in that era. This was a very good time for mankind, nutritionally. The biggest killer after infancy was not diet related (other than poverty related malnutrition), it was infection from accidents (not diseases, as generally assumed) which dramatically shortened AVERAGE lifespans, but not INDIVIDUAL lifespans. Fertility was excellent, but no matter how large your family, populations do not increase rapidly unless life expectancies improve, and that could not happen if wheat were the blight on mankind that the paleo diet supporters claim that it is. Diets during this time included range fed livestock, a great deal of intentionally grown crops, but also still possessed a large amount of wild foraged foods, including greens, roots, berries, and mushrooms. In most parts of the world, it also included a significant portion of wild meats and fish (though this was much more controlled in Europe than in the rest of the world, where wild animal populations belonged to the upper classes or the crown). This was essentially the perfect balance between a natural agrarian society (no chemicals yet), and hunting and gathering. Foods were whole, and fresh, brought to market the morning they were picked, and sold the same day. Canning processes had not been developed, but drying processes had been around since time immemorial, along with curing and pickling processes. Nutritional density of foods was generally high, and the most processed food you would get is something that was days old that had been cooked to death in a series of reheatings, wherein the bacteria working on it in between reheatings gradually broke it down so that the stew on the 8th day was not exactly the same as the stew on the 1st day - "Pease porridge hot, pease porridge cold, pease porridge in the pot, nine days old". Many foods were served a day or two old without refrigeration, including cold cooked meats, boiled eggs, boiled or baked potatoes, boiled root vegetables, and various other staples. Eggs, milk, cheeses, fermented foods, and other items we commonly refrigerate were only cooled in a cellar, if that, and milk was often served soured (soured raw milk is NOT like soured pasteurized milk, it is the old fashioned version of cultured buttermilk). The staff of life though, was bread. When the people could not buy bread, revolutions broke out. This has been the case for virtually every documented society in the world. Dairy is also well established in almost every society (there are some exceptions, but they ARE exceptions! ), to one extent or another, so much so that whatever larger animal roams the steppes, mountains, or savanahs, is milked. In various cultures, cows were domesticated VERY EARLY, but also goats, horses, sheep, have all been kept for the purpose of milking, as have yaks, reindeer, llamas, camels, and other native animals. If milk were not a common and healthy food, it would not be obtained from so many varied animals, nor in so many regions of the world. Those who claim it is not culturally common are simply ignorant about the sources of milk worldwide (where, incidentally, more goats are milked than cows). The idea that milk comes from cows and very few cultures in the world keep cows (which isn't precisely true either), therefore milk must not be very popular worldwide as a dietary staple, is completely false. Cattle are found on every continent, and have been for thousands upon thousands of years. But beyond Bos Taurus and Bos Indicus, there are a host of other animals which have been kept for the purpose of milk production, all across the world. Milk has been THAT important for human consumption, historically. Some cultures adapted to survive very heavily on milk, including many nomadic tribes which herded their animals with them (indeed, evolutionist theory supporters trace this back MUCH further than the agricultural revolution). Such nomadic tribes herded cows, goats, sheep, yaks, horses, and camels for milk production, for meat, and as beasts of burden. So there is simply no truth to the claim that "no early cultures used milk of animals", or "using milk past infancy is an abberation in human history", because the herding of animals radically predated the cultivation of stationary crops. In many places the milk was soured in one manner or another, in some places it leaned primarily toward butter and cheeses, but the absence of milk within a culture is more of an exception than the presence of it. Even in Japan, where milk was not generally a significant part of the common diet prior to its heavy promotion in the early to mid-20th century, it was widely accepted when it was introduced by the government as a food to build health and strength. The feudal system and land ownership issues had more to do with the low instance of productive cattle prior to that point than did any nutritional issues. Many of the older people had issues of lactose intolerance when milk was first encouraged, due to the absence of digestive bacteria since they did not consume milk through their childhood and early adult years, but this is an issue of short term adaptation, and in those people who continue to consume milk from childhood, the digestive bacteria persist, and in most people who have lost that, the bacteria can be regained simply by consuming kefir or other fermented milk products temporarily while the digestive bacteria recolonize. The lactose intolerance exhibited at that time is NOT a cultural thing (though the habit of NOT drinking milk IS), and many of the Japanese people have since adapted to the presence of milk in their diet, and have developed specialized cheeses and other foods to use milk to complement their traditional diet. Their culture has adapted... very quickly. One of the really puzzling elements of the Paleo diet is that most advocates will say that milk is NOT healthy (which is a food that qualifies as historic, nutritious, and if it is produced properly, completely natural), and then suggest that individuals use Almond Milk, Coconut Milk, or other Nut based milks... Ok, have you ever read the label on those things? They are HIGHLY processed foods, with highly processed ingredients, which have enriched nutrients added in to persuade you that they can compete with the nutrient density of real milk. Real milk isn't processed (real milk means RAW WHOLE MILK), and doesn't have "ingredients". So how does it make sense to say that processed and refined foods should be avoided, and then recommend a processed and refined fake milk as an alternative to real milk, rather than just suggesting that you get GOOD QUALITY real milk, as they do with all the rest of the foods they recommend? And if milk is such bad food, why do you need a substitute anyway? So, we have established that grains and milk are not bad for us, that culturally they were very much part of the world as a whole, and that humanity not only adapted to their use (if indeed they ever did NOT use them), but that they have been adopted by humanity BECAUSE they were healthy foods, not because of some widespread cultural insanity where the world as a whole adopted harmful foods just on some kind of collective whim! Then why are so many people reacting to wheat and milk now? Considering that the reactions are of RECENT date, and not historic or traditional, we need to look at MODERN causes, and not go around labeling wheat and milk as bad. Those who call wheat and milk harmful have found a lucrative means of making money upon the ignorance of their following, but they are doing no one a favor in promoting such myths. Further, since the problems with wheat and milk are not confined to wheat and milk, eliminating them from one's diet just means that the problem will progress, and over time, people following this counsel end up having to remove more and more foods from their diet, because the short term relief is only that - the relief of a symptom, while the cause goes unhindered on its way, continuing to cause damage to the digestive tract. The thing is, milk and grain were a different thing in early days. Grains were coarser, less refined, and prepared from VERY fresh flour, often in a dough which had a lengthy preparation time, but not always (often it was nothing more than water and flour stirred together and baked as a thin pan cake - tortillas, flat breads, salt rising, biscuits, flour puddings, and other non-yeast breads were prepared rapidly and are staples of many cultures). All that stuff about "anti-nutrients" in grains and vegetables is so much hogwash, and research done on it has NOT proven any harm in any way within the human body, and is accompanied by the disclaimer that "we think it does this in the laboratory, but we have no idea whether it does this in the human body since we can't test it directly". Again, people have eaten these foods, without special preparation, for thousands of years, which they would not have continued to do if the body did not already have a way of handling these things (likely through enzyme or bacterial action in the digestive tract). Grains in earlier centuries were never treated with herbicides or pesticides, either before or after harvest, and they were not ground months ahead of time and treated with bha or bht to "preserve freshness", nor were anti-caking agents added to the flour. Additionally, the flour was whole grain, and milled with the germ intact. Rice was what we know as brown rice, barley was hulled barley (not pearled). Oats were ground or flattened fresh (you really oughta get an oat roller, fresh rolled oats produce an oatmeal with a slightly tangy flavor, which is more flavorful than commercial oats). These fresh and whole grains were not "improved" in the way that some modern grain types are, by selective breeding or hybridization, and many people who choose a "traditional" diet prefer to use Spelt, Einkorn, or other older types of wheat related grains, while some are better able to digest Hard White Wheat, Durum Wheat, or other clean modern grain types. Yeah... some people CAN tolerate modern grain better than ancient grain! Pasteurization and Homogenization of milk has changed the structure of the carbohydrates, fats, and proteins. Cooked milk proteins are FAR harder for many people to digest than raw milk proteins. The binding effect of homogenization creates a bond between the carb, protein, and fat molecules, which makes it more difficult for your body to break them into recognizable nutritional elements. Milk then, in its common commercial form, is a Processed, and Refined Food, which is NUTRITIONALLY DIFFERENT than good quality Raw, Whole Milk. Milk has also been degraded by upbreeding cattle in such a way that butterfat has been reduced, milk solids are reduced, and protein levels are lowered. They have sacrificed quality for quantity, and many heritage breeds of cattle have been corrupted by cross breeding with Holsteins, in order to increase production (MORE INFORMATION ON THIS HERE - Remember When Whole Milk Was Really Whole Milk). The Jersey cow, renowned for rich milk with a high percentage of yellow cream, is now a pathetic shadow of its former self, with most contemporary Jerseys producing milk with around 4% butterfat (instead of 5-6%), of a pale, barely yellow shade (instead of rich yellow cream, and bright yellow butter). Goats have been less corrupted, but some breeds have been bred for unnaturally high milk production, and have lost some richness in the process. Milk sheep and some other animals used for milk have not generally been subject to this process. Besides the breeding issues, milk is contaminated with a range of chemicals, including antibiotics, growth hormones, herbicides from contaminated pastures, pesticides from contaminated grain (livestock grain is almost always treated with pesticides prior to packaging). Even "organic" milk is generally contaminated with chlorine, simply because the animals are given chlorinated water. This makes it difficult to find really good milk products. Anything that is contaminated with preservatives or detergents is killing bacteria and digestive cells in your intestines. This includes chlorine (a good water filter is worth its weight in gold!). These things are added to food specifically with the goal of killing living cells. Chemicals are not smart, they cannot tell a good bacteria from a bad one, or a bacteria cell from an intestinal cell, they kill indiscriminately. Reducing them in food is a smart move, and a logical one, and is often sufficient to heal a damaged digestive system. Given the changes over time in our food supply, it is more reasonable to blame the contamination of our grains and milk products for the rapid rise in sensitivities, rather than blaming foods that have been traditional staples in the kitchen for centuries. So what are we recommending? 1. Foods from all five of the significant food groups that the human body has traditionally consumed: Meats (including eggs and fish), fruits (tomatoes are fruits, people! ), vegetables (including mushrooms), dairy, and grains (including legumes, seeds, and nuts). 2. Clean raised livestock, raised on pasture or range, and fed real food, not contaminated formulated feeds. Just do the best you can. 3. Clean dairy, from pastured cattle, which has not been fed contaminated feeds. Again, do the best you can, any improvement can help a lot. 4. Clean fruits and vegetables, not treated with herbicides, pesticides, fungicides, preservatives, or sprout inhibitors, either before, or after harvesting. Watch out for fruits and sprouts that smell of detergent, even organics may have this. Get the best you can realistically obtain, and don't beat yourself up if you can't get better. 5. Whole grains, freshly milled or rolled when applicable. If that is not possible, then stick to whole grain, organic baked goods, and whole grain pastas with only two ingredients (wheat and water). A wheat mill is a worthwhile investment. 6. Minimally processed foods. Prepared in your own kitchen when possible, with generous amounts of fresh foods when possible. Make extra of every food you love, to freeze or refrigerate for leftovers so you streamline the workload. Cook once, eat twice. 7. Wider variety of foods. Our grocery store shelves and produce and meat aisles contain VERY little variety, and the varieties of foods they do stock are often NOT those that we as individuals, with very diverse genetic adaptations, can most easily digest. 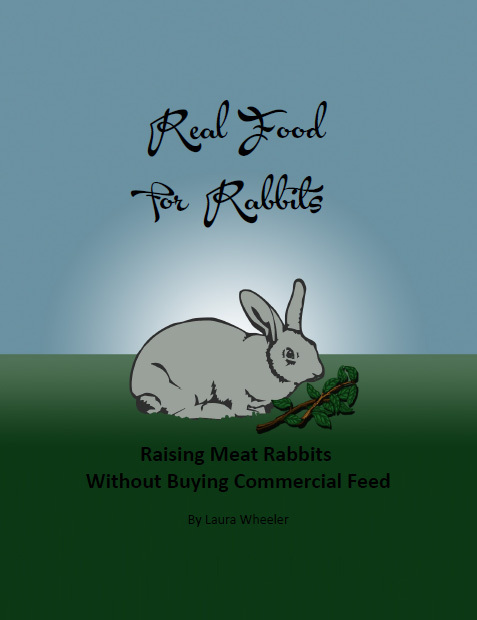 We may need more wild meat, more small game birds, more fish, more small game, more varied vegetables, and a broader variety of fruits, we may need raw milk or cultured milk, or we may need cheeses that are not riddled with preservatives. We need the broad variety of food that is more easily obtained through local agriculture, and not through the durable products that are available nationwide and severely restricted in variety. 8. Eat when you are hungry, stop when you are satisfied. Eat WHAT you are hungry for, and do not force yourself to eat what you do not like. Eat what tastes good. The more you transition to clean and whole foods, the more your body will crave them. When you get the nutrients you NEED, the craving for sugar and Doritos pretty much vanishes. If you want fried food, fry it in lard or coconut oil, or butter. If you want salt, shake on some Redmond Real Salt and enjoy it. If you want some pasta, drag out the whole grain pasta, and top it with some tomato sauce and some good pastured beef or pork. When you eat what your body NEEDS, then it will TELL you what it needs. Dieting becomes a thing of the past, and listening to your body is all you need to do. 9. If you have intolerances, then use kefir, raw milk, fermented vegetables (NOT fruits! They are alcoholic and damage your gut, and NOT anything fermented that you add ANY carbohydrate based sweetener to, they are also alcoholic! ), and lots of good fresh veggies (straight from the garden if you can, NOT washed with veggie wash or chlorinated water!! ), to rebuild your digestive capacity, and then try again. Also try different types - Spelt instead of Hard Red Wheat, or even Hard White Wheat instead of Hard Red, or Quail eggs instead of Chicken eggs, Goat milk instead of Cows milk, Bantam chicken meat instead of full sized chicken meat, veal instead of beef, lamb or deer as an alternative to beef, a different breed of pig for your pork, etc. First heal and try again, second explore other options. Do NOT use processed coconut milk or almond milk as an alternative to real milk, it is in no way comparable, and don't use processed substitutions for anything unless it is absolutely the only thing you can tolerate and feel that you really need it. There are two other things that will help your digestive system. Things that are outside your body can also influence what goes in inside your body. 1. Chlorine. Filter your drinking and cooking water, of course, but ALSO filter your shower and bath water. Chlorine absorbs through the skin - enough to cause allergic reactions in those who are sensitive to it (systemic allergic reactions, not just surface reactions), and enough to affect the cells in your body as it circulates through your bloodstream. Across the world, there are specific identifiable cuisines. Each region has its own cultural foods that have been traditionally consumed, and to which those living in that region have adapted to. The region shapes the cultural diet. There are diets that developed in oceanside cultures, which depend principally upon ocean fish, chicken, and sheep, and cool climate fruits and vegetables. Tropical island cultures tend more toward ocean seafood, chicken, small fatty pigs, and tropical fruits and vegetables. The mid-European cultures relied highly upon bread, temperate fruits, and vegetables, with course fish and lake fish, chicken, pigeon, rabbit, deer, and ham (at least the upper class... which my own lineage has traced back to). There are also specific regional and cultural diets for the Deep South, and the pedestrian Midwest, and Eastern Nomadic plus American Native hunter gatherer cultures. These are just a few of the cultural food collections that are present around the world. And all of these are in my own personal genetics. It takes about 300 years for a society to adapt to regionally available cuisines. There is some inflow and outflow within the region - and many stories through history of "foreigners" not doing well with local foods. Basically, it is as I explained earlier regarding wheat and milk - those who could digest and metabolize locally available foods well were more fertile, and lived longer than those who could not. They dominated the region, and within a few centuries, their genetics were prevalent in the region. Genetics in those who did not tolerate the diet well died out as those who could not tolerate it well experienced decreased fertility, and shortened lifespans. The modern American diet is less than a century old. It has moved faster than our ability to adapt. Each of us is made up of a collection of genetic elements from our ancestors. I may have the ability to digest oily fish, or not (I don't). I may or may not have the ability to digest the coarse meat fibers from rapidly maturing beef or chicken (I don't). I may or may not have the ability to digest tropical fruits, venison, European root crops, or South American root crops. I may have the capacity to digest gamebirds, or domestic turkey. I may be able to digest goat, cow, sheep, or horse milk best. All of this depends upon the specific cocktail of genetics which I inherited from my varied ancestors - and it is important to understand that with a diverse genetic heritage, you don't exactly inherit a "culture" intact. You get bits and pieces from more than one. The trick to it is, that your body KNOWS what it digests best. You have a specific set of likes and dislikes, and your body will tell you what is best for you, IF you give it the most whole, fresh, and uncontaminated foods that you can. I do not crave junk food when I am getting a varied diet of foods I can digest and metabolize well. I crave good fruits, good vegetables, good fats, good proteins, and something sweet now and again, but not often, and chocolate on an off. Your individual tastes and preferences are the key to your own personal needs. But if you give your body garbage, it gets all confused, and will crave tons of one thing, because it has a teeny amount of something that nothing else you are eating has, and the rest of the elements in the food you are craving may actually be harmful to you. Give it a GOOD source, and it balances out. BUT... you also need to try many different new things, if you are still not healing and balancing. Try new fruits, new vegetables, try foods you loved as a child but maybe have not prepared because others in your family don't appreciate them. 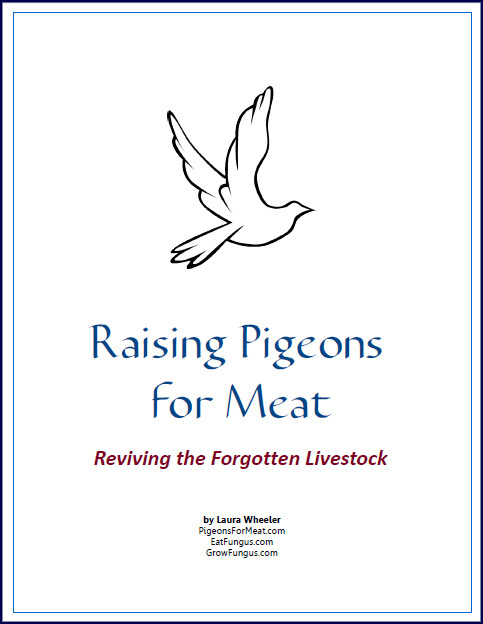 Try wild meats or lamb or veal, duck, goose, guinea fowl, or other less common meats. 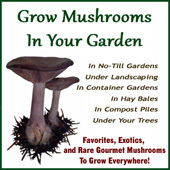 Try wild foraged fruits, greens, or mushrooms (and if you do not like mushrooms, try DIFFERENT mushrooms - there are more than 100 available commercially or wild in the US, and all mushrooms are NOT the same!). Some people digest certain foods better well cooked, others digest the same foods better raw, or lightly cooked. Some people digest them better when prepared in companionship with other foods - meats and fruits are a common combination (tomatoes are FRUIT.... remember?) because the acids in the fruit help break down elements in the meat so they are better metabolized. Maybe you need Bantam chicken eggs instead of standard chicken eggs (true Bantams such as D'anvers, Dutch, Nankin, or D'Uccle, and NOT Bantams that have been bred down for size - they are different). Bantam eggs have a somewhat different amino and fat chain makeup than full sized chicken eggs, and some cultures used those eggs primarily - or upper classes used larger eggs and the lower classes were restricted to the smaller eggs. Maybe you do best with eggs from wild gamebirds - many cultures gathered the smaller eggs of pheasant, partridge, quail, and other smaller birds. This is an extreme example, perhaps, but the point is, don't confine yourself to the very LIMITED variety of the local grocery stores. Branch out, and consider raising a few animals yourself, or consider purchasing some of the more unusual foods. And if you decide to grow your own, there is the wonderful advantage of knowing every single thing that the food has been exposed to! Yeah, this is hard. Yeah, you CAN'T do it all! Just clean up what you can in your diet, little by little, and work on healing your gut bit by bit. 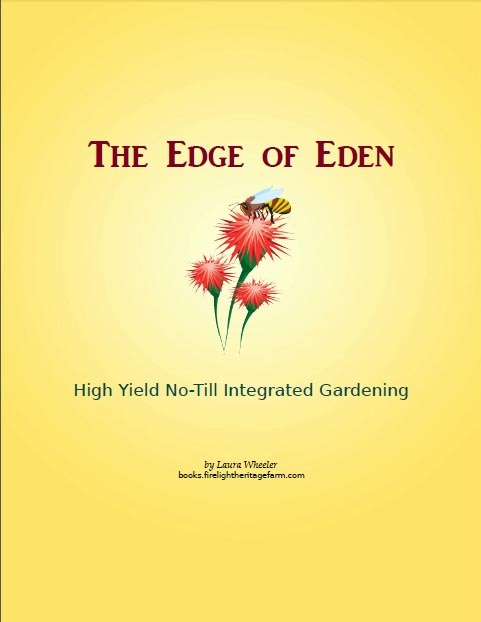 Get the best food you can, and grow what you can. Let the rest go until you feel you CAN do more. Everyone is in a different place in their lives. Some people have the time to cook more than others. Assess your life REALISTICALLY, and then adjust where you can. Pick what is most important, or simplest, and do that. Every positive change is good. Focus on the positive changes, and not on what you cannot do. It is a tough world we live in. It is not likely to get easier. But if you do what you can, it can get better!